How may we design a book's cover to communicate its content? 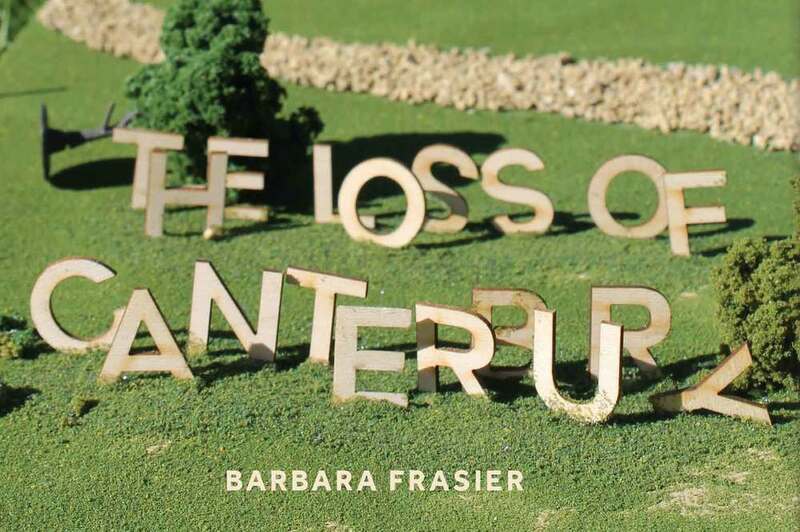 The Loss of Canterbury is a novel about the demise of an elite private institution. Guided by the themes of wealth and decay, I constructed typography out of ribbon, fake pearls and glitter before moving forward with the laser-cut exploration. I constructed an architectural model into which I incorporated the laser-cut letters, which are purposefully falling over.